President Cyril Ramaphosa announced on Thursday evening that debt-laden power utility Eskom would be split into three separate entities – generation, transmission and distribution – which would still fall under the company Eskom Holdings. Eskom, which has a R419bn debt burden, has the potential to "severely damage" the country's economic and social development ambitions, the president said in his second State of the Nation Address in Parliament. "We need to take bold decisions and decisive action," said Ramaphosa. "The consequences may be painful, but they will be even more devastating if we delay." The utility will undergo a 9-point turnaround plan and government will step in to support Eskom's balance sheet, Ramaphosa said. Finance Minister Tito Mboweni will provide more details in the Budget on February 20. Ramaphosa did not provide a timeline for the splitting up of the entity, or say whether government would consider privatising some parts of it, which would be strongly opposed by unions. Ahead of his address on Thursday, government ministers and executives at state entities had started to lay the groundwork for the announcement. Speaking at Cape Town's Mining Indaba 2019 earlier in the week, Eskom CEO Phakamani Hadebe said the power utility was discussing with government and a Ramaphosa-appointed Eskom task team proposals to split it up. In late January, meanwhile, Minister of Public Enterprises Pravin Gordhan said Eskom would undergo a "major restructuring exercise", adding the"fiscus doesn’t have the space for endless bailouts, that’s the reality". Asked on Thursday evening in an interview with the SABC's Stephen Grootes whether Eskom would be privatised, Hadebe said Ramaphosa committed to not selling key assets. Trade union Federation Cosatu said in its post-SONA statement that it wanted a commitment by Ramaphosa that the restructuring of Eskom would not result in job losses. Speaking more broadly about state-owned enterprises, the trade union federation said that workers were worried by the "continuous hints by government and the SOEs" that they will be retrenched and "made to carry the can for corruption and mismanagement" by the executives. The National Union of Metalworkers of South Africa (Numsa), one of three recognised unions at the power utility, criticised the announcement on social media. Its official Twitter handle retweeted a tweet from Numsa General Secretary Irvin Jim, who said the announcement would lead to privatisation. The union said in late January that it would resist all attempts to either break up the struggling power utility or privatise it. DA leader Mmusi Maimane said Ramaphosa had "taken a step in the right direction by beginning the break-up of Eskom", but hadn't gone far enough. 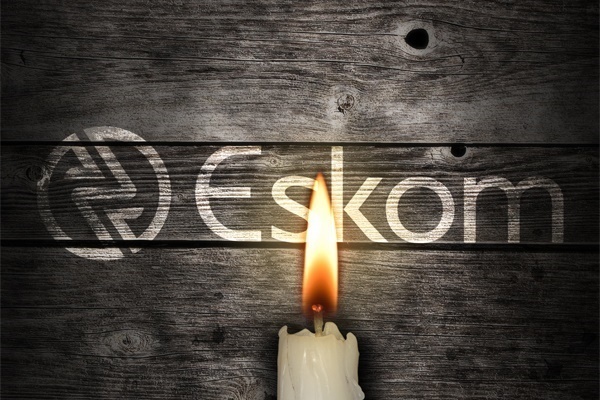 "These entities will still fall under the same holding company – Eskom – and South Africans will still pay for corruption and mismanagement at the bloated entity." Maimane said the DA wanted the power utility split up into two entities, one to generate electricity and the other to distribute and transmit. He said this would allow greater competition in the energy sector and lower costs. Peter Attard Montalto, head of capital markets research at Intellidex, said that although Ramaphosa's announcements on Eskom were "strong" they lacked specifics.